The Most Advanced, Scientifically Developed Accessory. Designed for superior strength, durability & double reinforced tough. Extended Grip Length - allows more of the grip to be wrapped around the bar for a stronger hold & added security; resulting in optimum performance. Unique "No-Slip" Custom Engineered Material Exclusive to Power Gripps USA. The grip material remains durable while maintaining the superior grip throughout the life of the product. Scientifically designed without bulk specifically to allow the athlete to feel a connection with the weight. Patented technology for the mind & muscle connection. Wide 1 1/2" Wrist Strap sewn with high-density foam with a hook & loop closure for excellent wrist support. Adjustable wrist support keeps the wrist in the correct position while training. Innovative Wrist Support ergonomically developed to promote circulation to the hand while eliminating nerve damage. Extra-Heavy Duty Steel Buckle on the wrist strap for Superior Strength. How do I determine the correct size for my wrist? No. 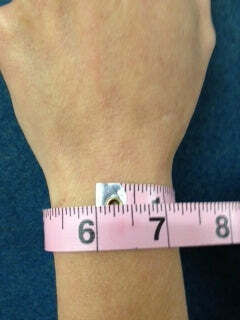 The sizes are based on your wrist circumference. The only difference in the sizes is the length of the strap around your wrist. If you order a size that is too big, then the wrist strap will be too long and the hook & loop will not adequately align. Please see our size chart. How tight should Versa Gripps fit around my wrists? Versa Gripps are ergonomically designed to fit snug, but not tight, around your wrists. How far up on my extended hand, should the top of the grip come? After putting on the Versa Grip, hold your hand up facing you. The top of the gripping portion should land just above the first knuckle of your index and middle finger, from the base of your fingers. If you want it longer, simply loosen the wrist strap slightly, and allow the end of the gripping portion to move toward the tip of your fingers. What STYLE of Versa Gripps should I buy? This depends upon how you workout, your personal preferences, your wrist circumference and hand size. The FIT Series is designed to meet the needs of a smaller built person. The gripping portion is made of a unique "no slip" custom engineered material made exclusively for Power Gripps USA. This is the same material used on the Pro Series as well. This material is hypoallergenic, anti-bacterial and anti-microbial. Designed for an ultra-sleek fit, the Fit Gripps have been scaled down to a more user-friendly size for a smaller hand. The strap around the wrist is 1" wide as opposed to the Classic or Pro Series wrist strap which measured 1 ½" wide. The narrower strap allows for greater wrist flexibility. Excellent choice for frequent lifting and all around training for that sculpted and toned look. X-Small: 4 3/4" - 5 1/2" Small: 5 3/4" - 6 1/2" Reg/Large: 6 1/2" - 7 3/4"
The Classic Series is a good overall product. The wrist strap is 1 ½" wide and the gripping portion is longer than the Fit Grip and a bit shorter than the Pro Series. The gripping portion, the section that wraps around the bar, is textured and slightly thicker than the Fit and Pro Series. Excellent choice for frequent lifting and all around training. The Professional Series is our top of the line product. The gripping portion is made of a unique "no-slip" custom engineered material made exclusively for Power Gripps USA. This material is very grippy as well as being hypoallergenic, anti-bacterial and anti-microbial. It is extra reinforced strong and the gripping portion is a bit longer than the Classic Style for added security. Excellent choice for the serious lifter.